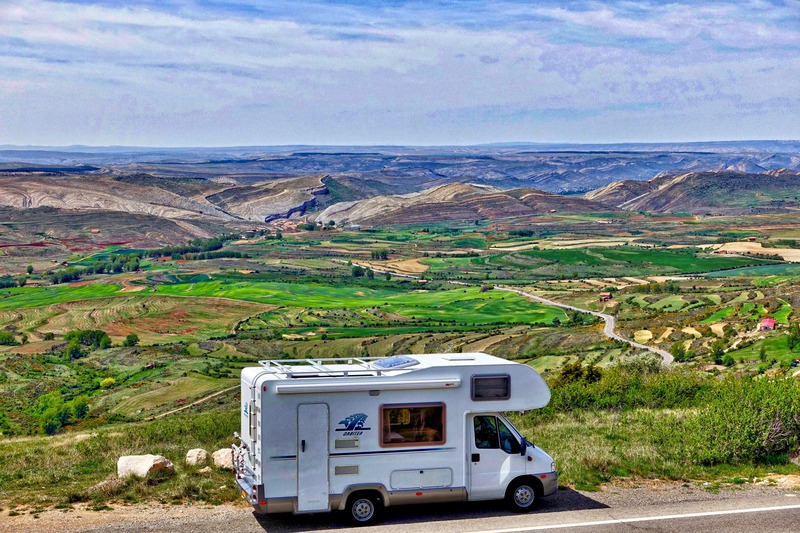 Hiring a motor home or campervan can be a fun and exhilarating way of exploring new parts of the world, especially if you want to travel on a budget. Not only are they a very popular choice for staycations in the UK, but they’re also a brilliant way to explore the rest of the world too. Not only does a motorhome or campervan holiday provide flexibility to travel where and when you like, but it also opens up a world of possibilities as the accommodation does not need to be a deciding factor. If you plan in advance and opt to travel slightly out of season great savings can be had. This has several other advantages too, as the roads will tend to be quieter, as will campsites, tourist attractions and other amenities. 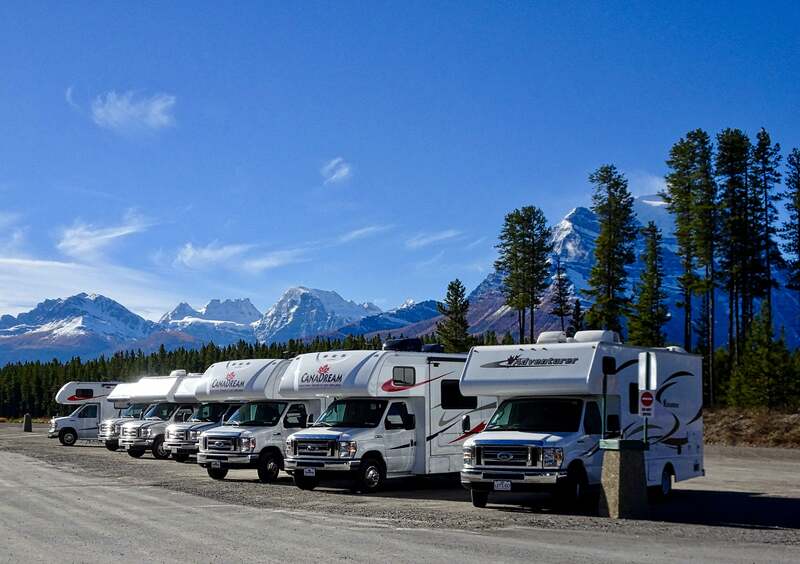 If you are hiring your motor home or campervan, you may also want to consider hire excess insurance. This will increase your excess protection and reduce the likelihood of an expensive outlay should your vehicle be damaged or stolen. Campervan hire also allows you to prepare your own meals as well as the option to sample the cuisine in the areas you visit. You’ll often be able to pick up ingredients for less than you’ll pay in restaurants, meaning you’ll be able to reduce your costs even further if you want to. The wine regions of France are a popular option to explore with a camper van, including Bordeaux, Burgundy, the Loire Valley, Cotes du Rhone and Champagne. These regions feature acres of vineyards, picturesque villages and ample opportunity to sample stunning wines as you go – just make sure you have a designated driver! 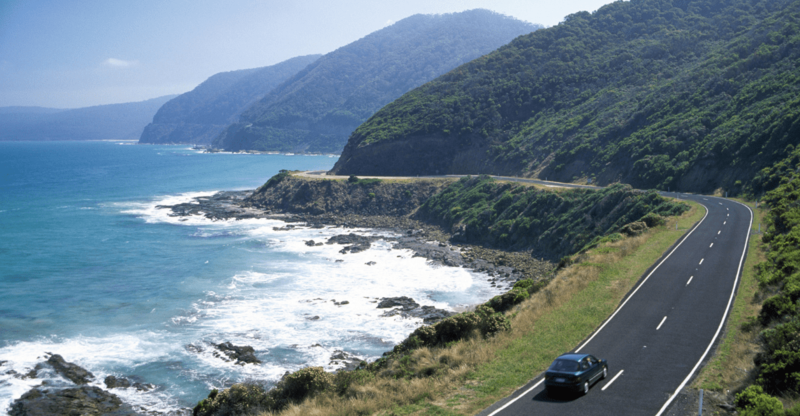 Another option is the Great Ocean Road in Australia, spanning 250 miles between Torquay and Nelson along Australia’s south coast. It takes around 90 minutes to reach Nelson if travelling from Central Melbourne, but the trip is worth it – the route takes in national parks, stunning beaches and an incredible rock formation known as the 12 Apostles, among many other sights. The spectacular scenery of New Zealand is another option, and there are an array of driving routes that allow you to take in some of the famed sights. Depending on how long you want your trip to be, you may want to visit either the North or South Island, or both. In the case of the latter, you should allow plenty of time to travel, as exploring the whole of this stunning country should never be rushed. You could city hop across Western Europe between the picturesque locations of Amsterdam, Paris, Bruges, Berlin and Munich. Each city is packed full of history, art and culture, and could easily be turned into a set of mini adventures if you so desire. You’ll probably want to spend at least a day or two in every city at the very minimum in order to ensure that you see all of the main attractions. Alternatively, explore the mountainous regions of Eastern Europe, and especially the Carpathian Mountains, where you’ll find incredible scenery at nearly every turn. Take in the bohemian charm of the Czech Republic and the sights and sounds of the Hungarian capital Budapest. The mountains, meanwhile, are home to an abundance of forests, thermal waters and mineral springs, with culturally-rich towns dotted around the rugged landscape. 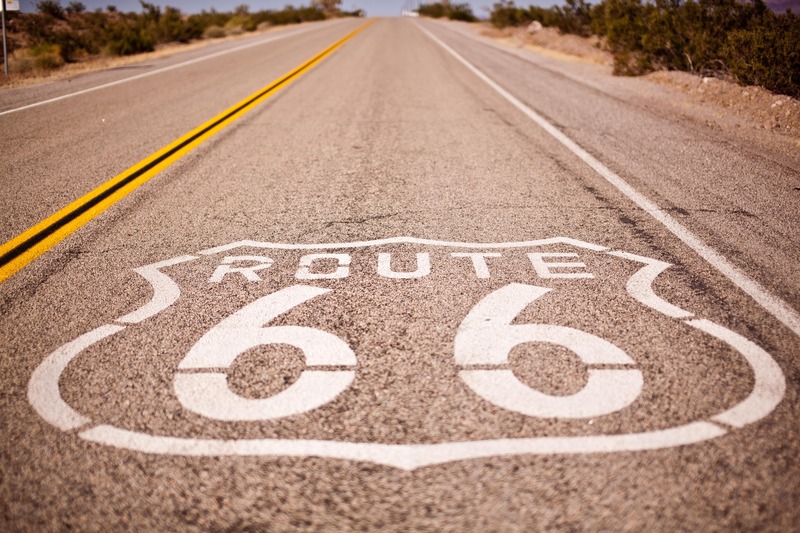 Lastly, you may want to consider venturing across the United States, with the Historic Route 66 between L.A and Chicago one of the most popular routes. Taking in eight States and crossing three time zones, the famed route crosses California, Arizona, New Mexico, Texas, Oklahoma, Kansas, Missouri and Illinois. Alicante in southern Spain is renowned for its clear waters, golden sandy beaches and exceptional Mediterranean weather. Not only can holidaymakers expect plenty of sunshine if they’re staying there, but the region is also steeping in history and culture, meaning there’s something to keep people of all ages entertained. The historic Mediterranean port is the second largest Valencian city and features influences from the Roman, Spanish and Moorish periods. Alicante serves as a popular destination with cruise ships and is home to an array of enticing museums, historical monuments, waterparks and numerous golf resorts. Alicante’s weather plays a major role in its popularity as a tourist destination. Not only is the weather in Alicante warm throughout the summer, with temperatures in the mid-20s from June through to September, but it’s also extremely dry. Temperatures can regularly top 30°C in July and August and the same months see the lowest levels of rainfall too – with showers occurring on just one day a month on average. Such is the reliability of Alicante’s weather that you can expect at least eight hours of sun a day from April to September, and up to 11 hours of sun every day in July. Sea temperatures top 25°Cin July, August and September too, making it perfect for swimming and participating in water sports. 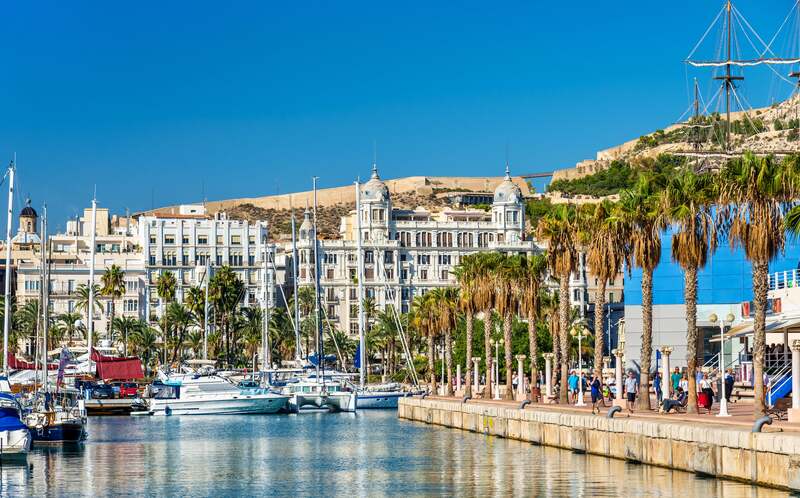 As previously mentioned, Alicante is packed full of things to do for all the family, meaning you won’t be short of options if spending every day at the beach isn’t your thing. Aqualandia, Pola Park, Aquopolis Water Park and Aqua Natura are among the many Alicante water park and theme park options that can keep the kids entertained. Most can be easily reached via the extensive public transport network and have ample parking if you need to park a hire car. You’ll also find plenty of golf courses in Alicante, with Alicante Golf, Club De Golf Bonalba and Club De Gold Alenda all popular with those wanting to practice their swing in the sunshine! The region is also popular for shopping, with the Alicante El Corte Ingles outlet selling everything from designer clothes and shoes to bags, cosmetics, electronics, furniture and your everyday basics. If you’re keen to discover some of the region’s history, head to Alicante Old Town to see quaint properties, the San Nicholas Cathedral and the Contemporary Art Museum. The latter is one of a dozen museums in the city that focus on the arts, archaeology and history – all are home to stunning collections that detail the eclectic history and culture of the region. 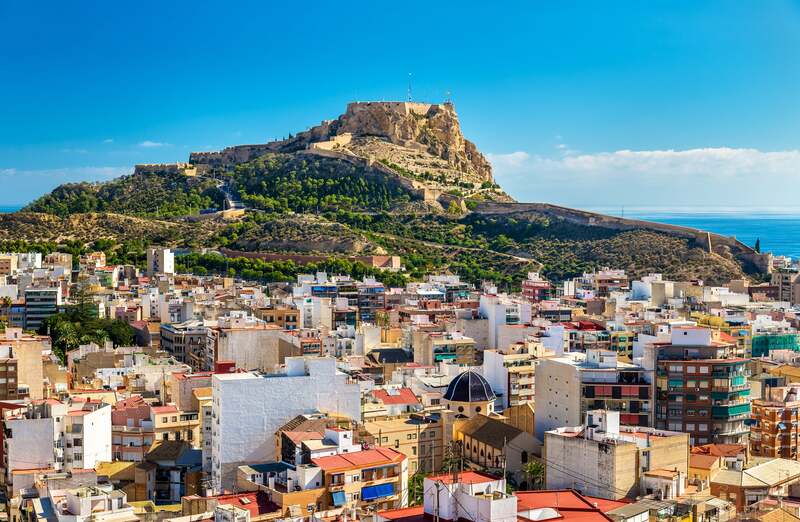 In the centre of Alicante is the Santa Barbara Castle, a fortification that stands proudly atop Mount Benacantil and which is among Spain’s largest fortresses – the views from the top are spectacular and are well worth the climb. Given the region’s proximity to the Mediterranean and its historical ties, it will come as no surprise to discover that Alicante has an abundance of delicious food and drink options. From tapas and paella to freshly caught seafood, there are numerous restaurants that serve both local and international dishes. The fertile soils of the region provide plenty of fresh fruit and vegetables too – be sure to try the local grapes and cherries if you get a chance! Alicante tram and train services link many destinations in the region, while buses also serve the smaller towns and villages. International, regional and local bus routes run from the main Alicante bus station, while if you intend to regularly travel on the services, purchasing a travel card could help you to save. Alicante is served by Alicante Airport (ALC), also known as Alicante-Elche Airport, which is regarded as the gateway to the Costa Blanca region of Spain. 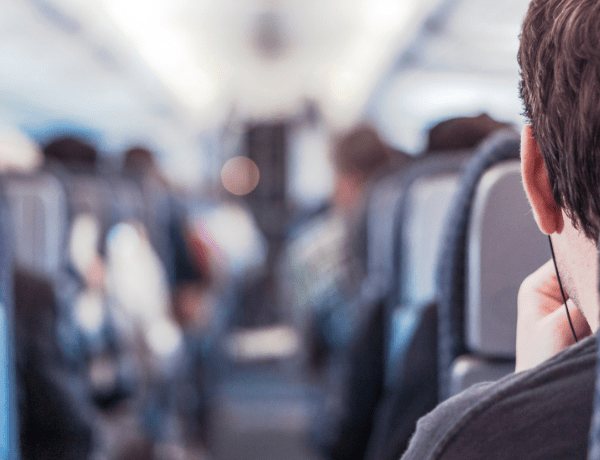 The airport is around six miles to the south west of Alicante city, and a similar distance from Elche, and is predominantly served by low-cost carriers including easyJet, Ryanair and Norwegian Air. Alicante airport transfers are possible via taxi, which takes around 20 minutes to downtown Alicante, or via train or tram services. The C6 bus line links the airport with Luceros train station and Mercado tram station for Alicante tram services. Alicante bus services also provide routes to downtown Alicante and other popular destinations including Murcia and Torrellano. You can also travel to the popular resort of Benidorm, with Alicante to Benidorm transfers possible via bus or train – for the latter, you’ll need the C6 bus line and services from Luceros train station. If you want more freedom when visiting the region, there are plenty of Alicante car hire services to choose from. Avis/Budget, Europcar, Hertz, Sixt and Record Go are among the car hire firms that operate at Alicante Airport. Alicante rental car pick-ups can also be found in many of the major towns and cities in the region, so it may be cheaper to transfer to your destination before picking up a hire car. If you do intend to hire a vehicle in Alicante, you may also want to consider purchasing car hire excess insurance before you travel in order to enhance your insurance cover and keep potential costs down. A policy with Questor Insurance could save you up to 80% compared with purchasing through the car hire company. Hiring commercial vehicles removes the need for a large initial outlay and could be a cost-effective alternative to purchase depending on how long a vehicle is required for. 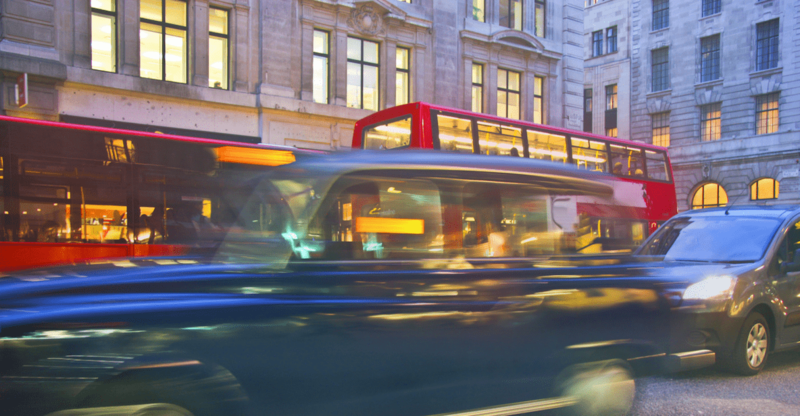 According to figures from the British Vehicle and Rental Leasing Association, the number of vans being rented in the UK continues to jump year-on-year. The rental sector is worth more than £5 billion to the UK economy, and purchases around 400,000 vehicles (cars and vans) per year. According to BVRLA Chief Executive Gerry Keaney, renting “delivers flexible, affordable transport to millions of people and businesses”. More vehicles are also being rented as businesses with seasonal requirements and small workforces see the benefits. It’s not just the initial outlay that a business is protected from when renting or leasing, as maintenance and upkeep costs are also not required. 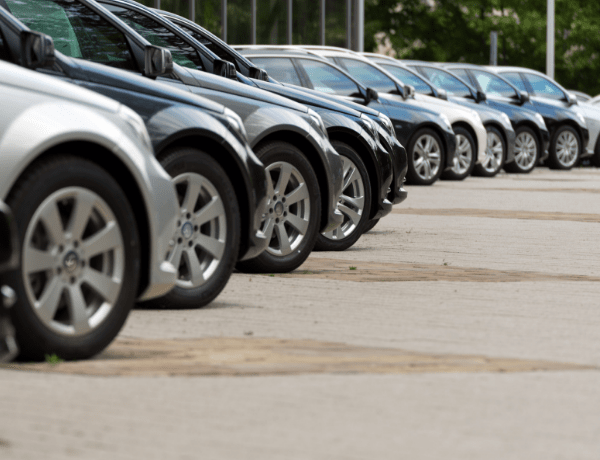 Nearly every vehicle will depreciate in value over time too and that is another factor that must be considered by any business prior to purchase. There is a certain degree of flexibility and simplicity when it comes to increasing or downsizing the size of a vehicle fleet when hiring. A business can find the vehicle that best suits their needs, often when they require it and at short notice. Short term van hire can provide a vehicle for an essential job or for a matter of days, while longer term hire is available for on-going projects, although it can cost more than hiring via a contract for a set time frame. Any business that opts to hire should also be able to access the latest models of cars and vans, in turn, increasing the quality of service that can be provided. Figures from UK van rental firm Northgate suggest that UK firms collectively lose out on around £2.4 billion every year as a result of vans not being operational. Their study claimed that the cost of a commercial vehicle not being on the road is around £800 a day and that the average time needed to sort an issue is four days. That means a business can lose revenue totalling an average of £3,200 every year, although in the case of rental vehicles, a replacement is often provided on the same day. On top of this, relying on a replacement from a hire company can also help to limit any reputational damage that can occur when a business has a van off the road. One aspect to consider if you do want to hire vehicles for a business, is van hire excess insurance. This type of insurance increases the protection on the excess you would need to pay in the event that the van be damaged or stolen. Hiring a car provides freedom and flexibility to explore new destinations, but you need to be careful to ensure it doesn’t come at a cost. By checking the vehicle and paperwork thoroughly, you can protect yourself from unscrupulous actions by car hire companies. Doing so will not only mean you can relax and enjoy your holiday, but you’ll be well placed to tackle any issues if something does go wrong. Our checklist includes the aspects you should look at when you first receive the keys, and you shouldn’t drive away until you are satisfied everything is in good working order. Read the car hire contract thoroughly and question any part of it that you are unsure about. You should also note any extras that might be included. Past research from Which? 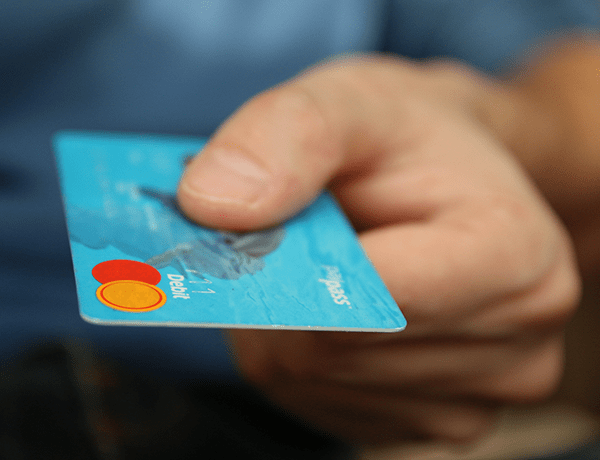 revealed that travellers often get stung by hidden fees as a result of not checking documentation thoroughly, and unfortunately, unnecessarily complicated documentation remains common across the car hire industry. Where extras are included, make sure that you understand the terms that relate to them and make sure that they are found within the vehicle at the point of collection. The paperwork should also detail the rental company’s fuel policy. Recognise what is expected of you and make plans accordingly to ensure the car will be returned in line with the agreement. A full-to-full policy is widely regarded as the best option, as you only pay for the fuel you use. In this instance, you pick up the vehicle with a full tank of fuel and return it to the hire company with a full tank. With a full-to-empty policy, you will be billed for the fuel in the tank and then expected to return the car as empty as possible. Should you not use a lot of fuel you stand to lose out, while rental firms will often charge more per litre than you would otherwise pay at a local fuel station. Given that the vast majority of us own a smartphone, it’s easy to take plenty of photographs of all aspects of the car. As well as looking for any dents and scratches, photographs can help should you be involved in a claim. Even if you think marks are relatively minor, it’s still important to write down any that already exist upon collection. View the paperwork as your means of logging any damage and include anything that you have an issue with. As well as looking for any dents and scratches, you should also check the windscreen, tyres and locks, noting any anomalies on the paperwork provided. The windscreen and windows should be checked for any chips, while the tread on the tyres should meet the legal depth. Don’t forget to look at the spare tyre too, if there is one. 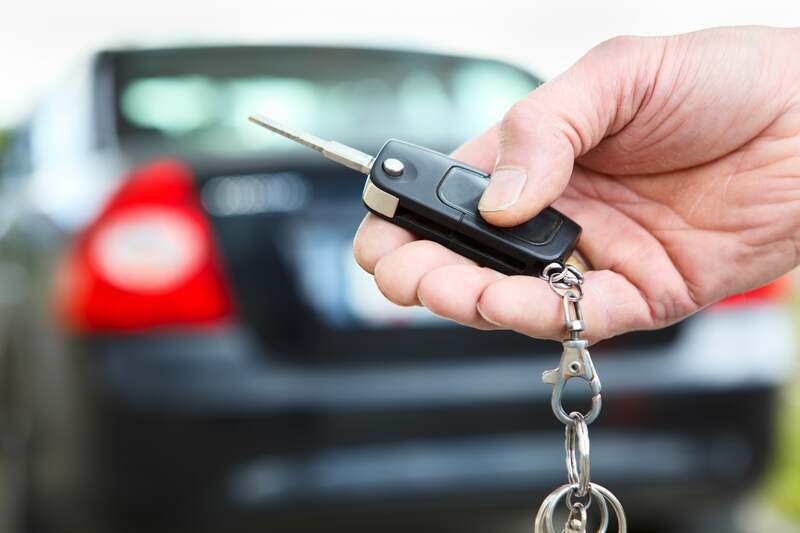 Focus on the locks on the hire car to see if they are all in full working order too – this is especially true if the vehicle uses keyless technology. Lock and unlock the vehicle using the physical key if possible, as this is often not checked when drivers are simply touching in to use the car. Inspections play an important part in any potential claim, and you need to ensure that all information is included on the forms. The existing vehicle condition report may list some issues already, so be sure to check these and make the hire company aware of anything you would like added. This means any pre-existing damage is logged before you hire the vehicle. Some countries have road laws that require cars to carry traffic cones, replacement bulbs and a high visibility vests, among other items. Have a look on the AA website if you’re unsure about what you may need and ensure the rental company provides all that is needed to ensure your hire car is road legal. Ensure that you have adequate insurance cover for your trip and keep in mind that what is included in the price of car hire may not be fully comprehensive. For instance, car hire excess insurance can cover the excess payment that would be required should your hire car be damaged or stolen. 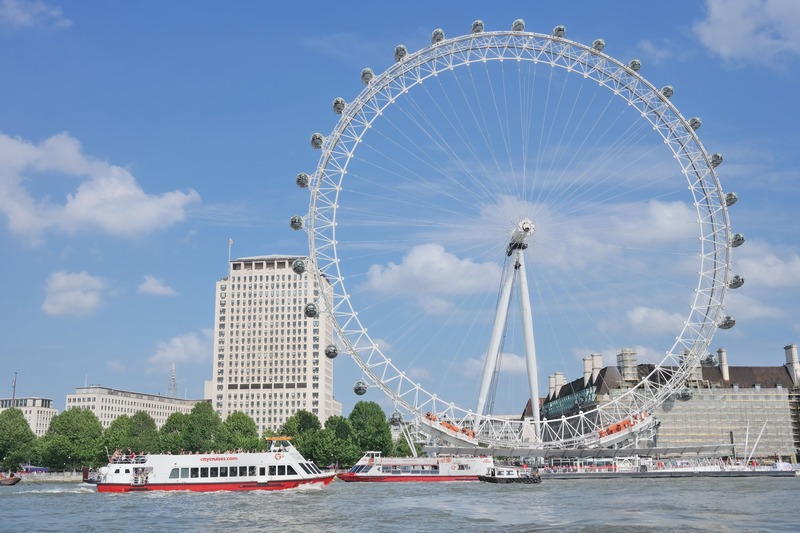 We know it can be hard to plan that perfect half term or summer break, which is why we’ve put together an action-packed list of attractions and things to do in the UK to help keep the children entertained. From the thrills and spills of theme parks and waterparks to getting up close and personal with wildlife, there’s something for all the family this May half-term. Love chocolate? Why not visit Cadbury World in Birmingham for a choc-tastic day out. There are 14 different zones to explore, from learning how some of your favourite treats are made to embarking on a 4D chocolate adventure. Throughout half-term and the summer holidays, there will be a host of children’s entertainers to make your visit extra special. Before leaving don’t forget to visit the world's largest Cadbury shop for a range of chocolate treats, souvenirs and personalised gifts. With 12 locations around the UK and many others around the world, you can choose the one closest to you. The Sea Life Centre is great for the whole family no matter their age. Experience sharks, jellyfish, sea horses and many other underwater creatures up close and in a natural setting. Don’t forget to check out the talk and feeding times so you can see your favourites in action. 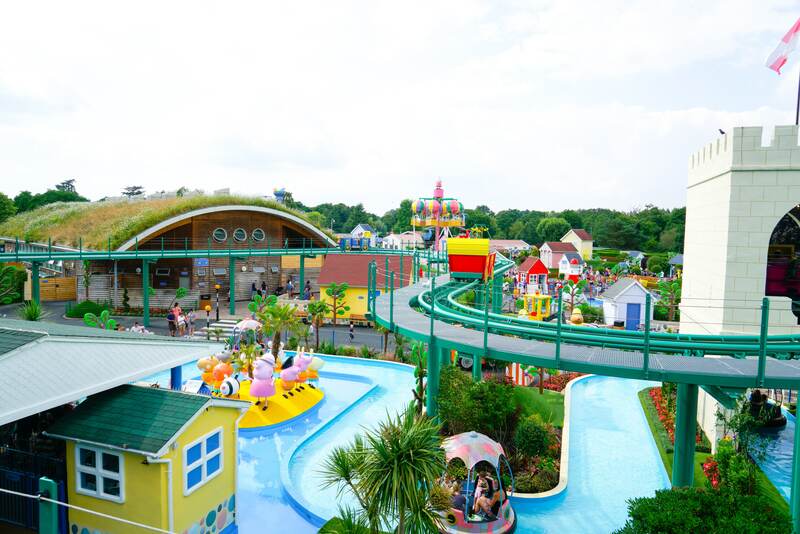 The UK’s best theme park according to Trop Advisor, Paultons Park is packed full of rides and attractions, including Peppa Pig World. With big and small rides, a cool collection of animals and plenty of entertainment, there’s something for everyone. You’re also right on the edge of the New Forest if you want to see nature in all its glory. Chester Zoo was rated as the sixth best zoo in the world by Trip Advisor in 2018 and it’s easy to see why so many people love visiting. Chester Zoo is home to more than 21,000 animals and 500 different species, including some of the most endangered on Earth. The zoo specialises in conservation work and features regularly on TV in Channel 4s ‘The Secret Life of the Zoo’. Don’t miss your chance to see conservation in action. Zoom down the fastest zip line in the world, soaring high over Penrhyn Quarry on Velocity 2 at Zip World. You could reach speeds of 100mph and there are spectacular views to enjoy on your way down – if you can keep your eyes open! As long as children are at least 10 years old and 4ft tall, this exhilarating treat is sure to get their pulses racing! 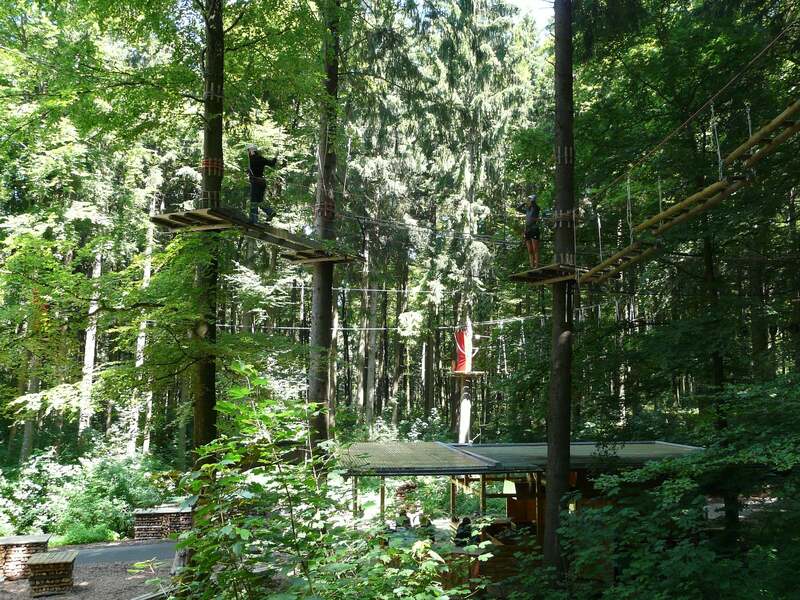 Go Ape is an action-packed day out for the whole family. With a number of adrenalin-fuelled activities including the original treetop adventure, Segway’s and an outdoor zip trekking adventure, you’re bound to have an action-packed day. With 33 locations across the UK, you’re guaranteed to have one within a short distance of you. Visit the UK’s number 1 safari park to see lions, rhinos and tigers roaming freely, as well as hundreds of other animals. Longleat Safari Park is set in the grounds of the hugely impressive Longleat House, a stately home dating back to Elizabethan times, and promises plenty of excitement for all ages. A new koala exhibit, called Koala Creek, has recently opened, making it the only place in the UK to see the cute Australian species. Titan the Robot is visiting Woodlands Park in the heart of Devon during the May half-term, meaning you can experience comedy, music and street theatre in addition to the theme park’s other attractions. Having appeared in many music videos and TV shows, Titan will be at the park on 28 May. As well as amazing water rides and a huge indoor play area, there’s also a zoo farm and much more to keep the kids entertained. If however, you fancy travelling further afield this May half term, why not check out our guide to the best short-haul destinations for May half-term. Some car clubs offer inclusive miles, beyond which the driver pays extra. Other car clubs don’t charge a membership fee but have higher hourly rates instead. Typically, the fee will cover the cost of checking your licence checked with the DVLA and administrative costs associated with setting you up on a car club system. Most car club vehicles are tracked electronically to record accurate time and mileage data. This means your monthly bill from the car club is itemised like a phone bill, so you only pay for what you use. If fuel starts to run low then the car club company may ask you to fill up using their charge card (kept in the glove box) or, for smaller clubs, keep receipts for reimbursement. Many car clubs let you extend a booking by phone if you’re running late. However, drivers not returning the vehicle on time will often face a fine (from £30-35 per hour) for late return, as other customers are unable to collect a vehicle as a result. In the event of a customer not being able to collect a vehicle because th ere is not one available, the Car Club company may provide them with a free taxi. Keys are kept in the glove box and you enter a PIN to release the immobiliser and drive away. You can usually book online, by app or by phone. There are already around 250,000 car club members in the UK and the government is keen to support their growth. Carplus, a not-for-profit, environmental transport non-governmental organisation, has even suggested that membership could pass the one million mark by 2025. The convenience of a car without the hassle of owning one - no more servicing, insurance, parking, MOT or repair costs. According to Carplus, joining a car club could save someone up to £3,500 per year compared to owning a car (if you currently drive fewer than 8,000 miles per year). The car clubs we looked at took members aged between 18 and 80 and asked for a current driver's licence that had been valid for at least a year. Prior convictions and car insurance claims could affect your eligibility for car club membership. Young drivers should check the individual terms of each Car Club, as some have higher minimal ages and other requirements. For example, you may need to have held a driving licence for 18 months or even two years in some instances, if you are under 21. As a car club member, you may be expected to pay between £250 and £1,000 as a contribution (excess) in the event of a claim. This figure is often higher if you’re under 21, starting at anywhere between £500 and £750. The cost to reduce this excess with a car club, can be as much as £90 per year. If you are thinking about hiring a hire car or using a car club, why not get a quote to protect the excess fee you could potentially be liable for with Questor Insurance. NB. As defined in our policy wording, a Car Club Company is A company or agency which is fully licensed with the regulatory authority of the country, state or local authority who provide registered paying members use of all hire vehicles within the Car Club Company fleet. According to Which? an incredible 63% of car hire customers fear being ripped off when renting a vehicle. With hidden fees, pushy sales staff and numerous reports of unscrupulous practices, holidaymakers need to do their research before they hire. 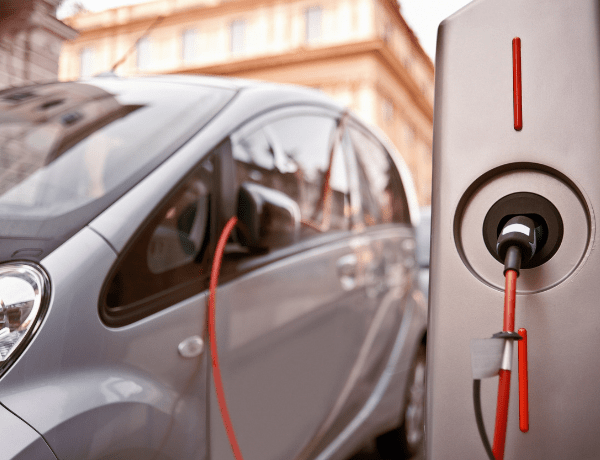 There are several types of fuel policies that are offered by car hire firms, so you need to know what to look for and what to avoid. This is where you hire the car with a full tank and return it empty – offers no value as you’ll be charged a premium for the petrol you’re given. On top of that, it’s near impossible to return the car with a completely empty tank, so they’ll always be some fuel that is paid for and not used. Instead, a full-full policy is often considered to be the cheapest option as you only ever pay for the fuel you use. However, note that some rental firms will charge if the tank is not full when the car is returned, while others will want proof that you refilled within a set distance of the car hire desk. Check the terms and conditions on your rental as you may have a mileage limit and be charged extra if you exceed that. Limits tend to vary by rental company and by location, but it can make the hire more expensive if you intend to drive a lot and regularly go over any limit that is in place. It’s important to check before booking if you want a rental with long distance options or that offers unlimited mileage. 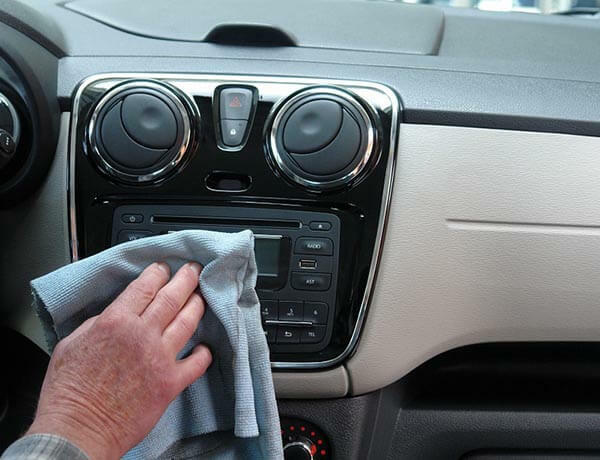 If a rental company considers a car to be exceptionally dirty, they may say it requires a ‘special clean’ which comes at a high price. Which? points to the examples of Europcar, Goldcar and Firefly, who charge anything between £85 and £215 for the service. Holidaymakers will therefore want to ensure that the car is returned in a clean state and should take pictures of the vehicle to document that in case of a dispute. Car hire excess insurance that is sold by rental companies might be cheaper elsewhere so it’s best to shop around. Most rentals include basic insurance, but the excess – which could amount to thousands of pounds – is not covered, leaving you liable to cover the costs if the vehicle is damaged or stolen. Car hire firms will tend to offer a super collision damage waiver that reduces a driver’s liability to zero or near to zero, but this costs much more than alternatives that are available online and elsewhere. Furthermore, it’s also important to check what a super collision damage waiver covers, as tyres, wheels and windscreens are often excluded. Which? reports that what is offered at the rental desk can be 10 times more expensive, or an even greater amount. Car hire excess insurance is available to cover a period of one-day, several days, a week, or even a year, so you can find affordable cover that best suits your situation. The Easter holidays are nearly upon us, but don’t worry if you don’t have anything planned yet as there are an abundance of great destinations that you can book last minute. From locations packed with history and landmarks to those with sandy beaches and adventure sports, these destinations have something to appeal to all the family. So if you want to relax and enjoy time away from school and work, or immerse yourself in a cultural hotspot, these are some of the best destinations to visit in the Easter holidays. With temperatures regularly topping 20°C, the crystal blue Mediterranean waters around the Balearic Islands can be especially tempting during April. The island is significantly quieter than during the summer months too, meaning it’s a lot easier to get out and explore, especially if you opt for a hire car. Expect the urban beaches at Palma to have fewer people, while if you want to venture away from the regular tourist trails, you can uncover an island rich in stunning scenery and mystery. And the best bit? You should still get at least eight hours of sunshine daily! Another place renowned for early sunshine and warm temperatures, you can expect 25°C on a daily basis in Cyprus throughout April. Explore the spectacular coastline, laze on the many golden beaches or explore the mountain towns – you won’t be short of options. If you get a chance, discover the ancient city of Paphos – the European Capital of Culture in 2017 – or venture to Larnaka to try your hand at a wealth of water sports. Just remember to double check your travel insurance cover if you do intend to take part in extreme sports, as this often an added extra and may not be included as standard. Another Mediterranean island with a lot to offer is Malta – it’s certainly not just a beach destination. Alongside temperatures of between 23°C and 25°C, and anything between eight and ten hours of sun, there are a host of cultural landmarks to discover. The capital Valetta has plenty of narrow streets that are packed with mystery, as well as districts packed full of boutique shops and cafes to discover. Should you run out of options – which is very unlikely – you can always jump on a boat to the islands of Comino or Gozo. In the summer, temperatures can be so high in Seville that they’re unbearable. But in April, an average of 25°C is far more manageable. There’s plenty going on in the city too – one of Spain’s largest Santa Semana (Holy Week) celebrations takes place in Seville each year. The Museum of Fine Arts of Seville (Museo de Bellas Artes) is home to a comprehensive collection of Spanish art and sculpture while the Alcazar of Seville – a royal palace – provides an insight into the region’s rich and complex history. If you’re travelling with children, a visit to the Aquapolis waterpark is a must. The southern-most point of Italy marks the Holy Week in style, with processions in every village, mammoth meals and plenty of tradition. Of course, the countryside is also in full bloom and the sun regularly shines for up to 10 hours a day which provides the perfect backdrop for taking in all of the celebrations. If you want to escape to the beach, check out the beautiful golden sands of Sampieri, or immerse yourself in the cities of Palermo or Catania – both have rich histories and are full of museums to explore. Renowned for being party central at the height of summer, Ibiza is much more family orientated in the early part of the season. The southern beaches offer golden sands and warm waters, while it’s also a fantastic time to explore the hidden parts of the island that are away from the main tourist regions of San Antonia and Playa d’en Bossa. Sailing is incredibly popular in April and May, with temperatures again in the region of 25°C. Hiring a 4x4 is a fantastic way to experience the island and to find its many picturesque beaches and villages. 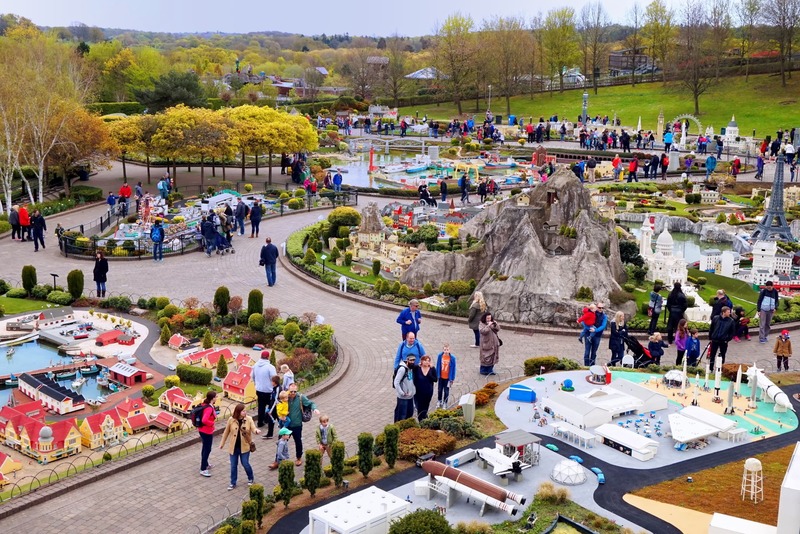 Canada’s largest city says goodbye to the worst of winter in April and Toronto is then home to an abundance of beautiful cherry blossom and new greenery. The Distillery District packs a real punch, with plenty of independent shops and restaurants, while the Museum of Contemporary Art houses an eclectic mix of provocative artworks that encourage critical thinking and reflection. Don’t expect temperatures to get much beyond 8°C to 10°C, but do enjoy the sights and take in a city that is pointedly quieter than at the height of summer. If you want a long haul destination that promises sun and bearable heat (think highs of 30°C, dropping to around 18°C at night) then look no further than Cuba. It will be dry and sunny, with incredible unspoilt beaches to see at every turn, while the main tourist traffic is long gone. Havana is an exciting city to explore, and one that is full of history, having first been set up by the Spanish in the 16th century – the Museum of the Revolution, in particular, is worth visiting. If you head to Dubai in April then it’s likely you’ll experience the Emirate before the temperatures skyrocket too much. It will still be hot – around 33°C on average – but that’s ideal for splashing around in the waterparks or trying your hand at water sports. Alternatively, have a go at dirt biking or dune buggying. Or for something more relaxing, wander around the many gigantic shopping malls in search of local crafts and designer goods. If you are in need of some further inspiration for your next holiday, check out our social hub. Putting false information on an insurance application may seem like a smart move to bring down your insurance quote, but don’t be fooled into thinking it is the move to make. Almost half a million people withheld key details or made applications in 2018 that included false information, automatically voiding any policies they took out. It is simply not worth it. Should you be found to be lying or to have included false information, the very least you can expect is for the policy to be voided. You may even be prosecuted for fraud. When making an application it’s important to disclose all information and to inform the insurer if your circumstances or situation changes. When applying for insurance, it’s important to stress exactly how the vehicle will be used, as this influences the quote you will receive. If you intend to commute regularly, the roads are busier at those times and the risk level is therefore deemed to be greater. 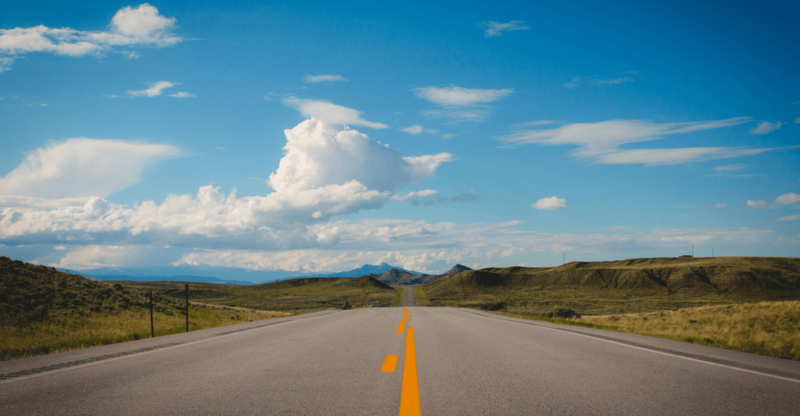 Occupation is also an essential inclusion as various job roles will carry different risk levels – someone who is regularly on the road will be deemed to be higher risk than someone with a desk job. 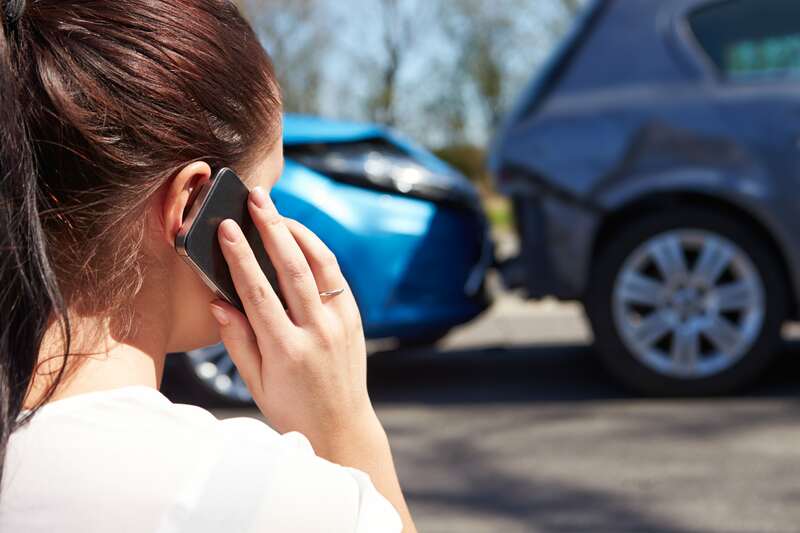 It might be tempting to omit past claims and accidents too, but should you need to claim again, a failure to include those past details could see your policy voided. The same goes for any speeding offences or other road convictions, as these will also influence the quote you receive. Many young drivers will also look to be a named driver on their parents’ policy – this is fine if the parents remain the predominant user of the vehicle. However, when this is not the case it is known as ‘fronting’ – a fraudulent activity and insurers will refuse to proceed with a claim. Young drivers can bring the costs of their insurance down by a number of other factors though, such as by considering the vehicle they purchase and by ensuring it is not modified. Another option is to consider motor excess insurance as this can reduce premiums – in such a scenario a young driver can opt for a higher excess to cut their premium, before covering that excess with additional excess insurance. With its rich culture and long-standing heritage, the vibrant Irish capital of Dublin is incredibly popular as a weekend getaway destination. But there is plenty more to offer in the city’s main streets, narrow lanes and green spaces, while widespread investment has led to numerous regeneration projects. Located on the East coast of the Republic of Ireland, in the borough of Leinster and at the mouth of the River Liffey, Dublin can trace its roots back to the Iron Age. You’ll find traces of Celtic, Viking, Norman and English influence, while an abundance of museums detail the region’s complex and often difficult history. If you’re unsure what to see in Dublin, when to visit, or where to dine out, read on to discover more about the city that first brought us Guinness (and lots more besides). Dublin isn’t really a city you visit for its weather, and while it may rain a lot, that just represents the perfect opportunity to discover many of the great attractions on offer. Average temperatures in Dublin drop to around 5°C in January and February, and peak at an average of 16°C in July and August. You can expect around six hours of sunshine a day between May and July, while Dublin is generally wet, experiencing between 50mm and 80mm of rain every month. Between 20 and 24 days receive rainfall every month, with August, October and December usually the wettest periods. There are a host of Dublin attractions that can be enjoyed whatever the weather, allowing you to immerse yourself in the city’s history, culture and the arts. Discover more about Ireland’s troubled, and often bloody, struggle for independence, with a visit to Kilmainham Gaol, a historic jail that played a key role in the Easter Uprising. There are an array of Dublin tours too, including the 1916 Rebellion Walking Tour, which visits the main sites and stories that relate to the uprising just over a century ago. You can also tour Dublin Castle, an 800-year-old set of fortifications or visit the Guinness Storehouse, a brewery experience that tells the tale of Ireland’s famed beer. EPIC The Ireland Emigration Museum explores the story of emigration in Ireland, while the National Museum of Ireland is arguably the nation’s most important cultural institution. For something a little different, visit the National Print Museum, or view stunning artwork at the Irish Museum of Modern Art, set among elegant surroundings and colourful gardens. If you love sport, then a tour of Croke Park stadium is a must. You can even climb onto the roof as part of the Skyline tour – if you can overcome a fear of heights! And if you’re still hunting for things to do in Dublin, wander the city’s many streets and you’ll uncover something at nearly every turn! Or pop into the Dublin tourist office for some extra guidance. Dublin is home to a wide array of bars and other venues that offer live music, a wide array of drinks and traditional food. You’ll also find all of the regular chain restaurants and an abundance of local eateries, meaning there is something to suit every budget. The Temple Bar Food Market is the best for gourmet food, while Chapter One is just one of many Michelin-starred restaurants across the city. And of course, no trip to Dublin is complete without sampling a pint of the ‘Black Stuff’ – as Guinness originated, and is brewed, in the city. The geographical terrain of Dublin makes it ideal for cyclists, and while you can rent bicycles from around the city, Just Eat’s Dublinbikes scheme is a popular alternative. With more than 100 stations across the city, the scheme works in a similar fashion to the Santander Cycles in London, where you can hire what are commonly known as ‘Boris Bikes’. A €10 smart card can be purchased from many stations with credit card terminals, and the bikes are free for the first 30 minutes and cost €0.5 for every half-hour after that. An extensive bus network serves the city from around 6 am to 11.30 pm, with fares calculated based on the number of stops. Purchase a Leap Card, available from most newsagents, if you intend to travel regularly. After registering online and topping it up, you can swipe it for every time you travel using a bus, the Luas – light rail service, suburban trains or Dublin Area Rapid Transport (DART). Alternatively, the hop-on-hop-off bus tour is perfect for those who would like to travel to and from the city’s most popular sights. The central bus station, Busaras, can be found just north of the River Liffey behind the Custom House. You can also purchase a range of fare saver passes, depending on the duration of your stay and on where you intend to travel. Taxi companies, with fixed fares, also operate across the city. The DART (Dublin Area Rapid Transit) provides access to Howth in the north and to as far as Greystones in County Wicklow to the south of the city. Services run roughly every 10 to 20 minutes between Monday and Saturday, while a reduced service runs on Sunday. Located 13km to the north of the city, Dublin Airport (DUB) – Ireland’s busiest – welcomes regular short, medium and long-haul flights from all over the globe. International flights, including most from the USA, use Terminal 2, while Ryanair and a handful of others use Terminal 1. You should note that there is no train link to Dublin city centre, and that bus travel takes roughly 45 minutes – numerous buses serve the route, including Aircoach, Airlink Express Coach and Dublin Bus. Regular services run throughout the day, while a select few offer hourly services through the night. An alternative is to arrive at the Dublin Port Terminal, which is around 3km from the city centre and which is served by the bus network. Car hire at Dublin Airport is another option, as you’ll find an array of local and international car hire firms there, as well as others in Dublin city centre. The majority of rental firms require drivers to be at least 23-years-old and to have had a driving licence for at least one year. Do your research on the various Irish car rentals prior to travelling to ensure you get the best price and look to book in advance where possible. Note that demand is highest during the summer and at weekends. If you are considering car hire in Dublin though, be aware that parking can be very difficult. No free parking exists between 7 am and 7 pm Monday to Saturday, and spaces are priced depending on the city zone you are in. Expect to pay €2.90 per hour in the yellow central zone, down to €0.6 per hour in the blue suburban zone. The clamping of illegally parked cars is also rigorously enforced. That isn’t to say that you shouldn’t get out and enjoy all that the lively and pulsating Irish capital has to offer and if you do decide to hire a vehicle – make sure your excess is protected. With a rich history dating back some 2,800 years, numerous art galleries, a revived port area and culinary delights at every turn, Malaga is incredibly popular with British travellers. Add in the region’s spectacular landscapes, the renowned beaches of the Costa del Soland a wealth of cultural heritage, and it’s easy to see why. Located in southern Spain, on the northern side of the Mediterranean Sea, Malaga has enjoyed periods of Phoenician, Roman, Visigoth, Byzantine, Arab and Spanish rule. As a result, it is home to an eclectic mix of architecture, historical ruins and landmarks, while more than €100 million was invested in the early 21st century to transform the city into a cultural Andalusian destination with the opening of 28 museums. If you’re unsure what to see in Malaga, when to visit, or where to dine out, read on to discover more about the city that gave us Pablo Picasso (and lots more besides). Malaga is served by the Malaga-Costa del Sol Airport (AGP) and you can expect to pay between €20 and €25 for a taxi to Malaga city centre. Alternatively, there are regular trains that run roughly every 20 minutes to Maria Zambrano Station and Malaga- Centro station from between 6.50am and just shy of midnight. Return trains from the city to the airport run at similar intervals between 5.30am and 11.30pm. Bus transfers are also available via Bus Line A from 7 am to midnight, which costs around €3. Return buses leave from the main bus and train stations, as well as from the eastern end of the Paseo del Parque, every 30 mins between 6.30am and 11.30pm. Car hire at Malaga Airport is another option, as you’ll find an array of local and international car hire firms there, as well as others in Malaga city centre. Do your research on the various Malaga car hire firms prior to travelling to ensure you get the best prices and remember that purchasing car hire excess insurance in advance may help you to keep costs down. There are several well-signposted car parks in the city centre while using Malaga car hire firms can help you to explore the many glorious beaches and scenery that the Costa del Sol has to offer. You can expect warm weather and little rain if you’re planning a trip to Malaga, making it ideal for a beach getaway or for a cultural excursion. The average temperature for Malaga is around 13°C between November and January, while temperatures peak at around 25°C in July and August. You’ll experience around 11 hours of sunshine a day in July, while June, July and August experience an average of just 2mm of rain between them. November is the wettest month, with around 100mm of rain, although that only falls on six days on average. Peak sea temperatures are in August and can reach 24°C. With its rich history, you won’t be surprised to hear that most Malaga attractions relate to the city’s past and there an abundance of museums to keep you entertained. The Phoenician walls of the city, as well as a Roman theatre, are among the oldest sights in the city, while the Alcazaba fortification from the 11th century is Spain’s best preserved citadel from the Moorish period. Built on a hill in the centre of the city, the Alcazaba dominates the skyline, while the Castle of Gibralfaro overlooks the port and the Mediterranean Sea from atop a foothill of the Montes de Malaga. The Cathedral of Malaga and the Carmen Thyssen Museum are also popular with tourists, while Malaga harbour is one of the busiest cruise ports on the Iberian Peninsula. As the birthplace of Picasso, the Museo Picasso Malaga is home to nearly 300 of the artist’s works, while others can be found at the Fundacion Picasso. The Museo Malaga tells the history of the city, while you’ll find various other museums dedicated to the arts, history, cars, music, science and sport. If you’re still looking for things to do in Malaga, explore the golden sandy beaches that dominate the coastline along the Costa del Sol – perfect for time with the family, romantic walks or just relaxing in the sun. Malaga is host to more than 400 tapas bars and restaurants, meaning there are plenty of accessible and low-cost food options. The pedestrianized section of Old Town features an abundance of nightlife that you won’t find in many other parts of Spain, while local bars serve an array of delicious drinks, including Tinto de Verano, a concoction similar to Sangria. You’ll find some of the best restaurants near the beach closest to the city centre– Playa de la Malagueta. The city is the southern-most point of the Madrid to Malaga high speed train line, making it easy to visit destinations including Cordoba, Seville and Madrid should you wish. A bus network serves most of the city, while the main bus station – around 1km from Malaga city centre– provides routes to most other major Spanish cities. Note that bus routes to the east and west of the Costa del Sol also stop at the central Muelle Heredia bus stop. The hop-on hop-off tourist buses are also very flexible and popular ways to see all the city’s sites. You may also wish to hire a bicycle if you’re feeling a bit more adventurous, as it is a fantastic way of exploring the mountainous villages that surround the city. The Montes de Malaga national park is a particular favourite with hikers and bikers alike. To ensure added peace of mind when holidaying in Malaga, ensure you are protected by a comprehensive travel insurance policy. Our handy online tool allows quote comparison from our trusted providers with the options to search on single or multi-trip policies to Spain.